HJC Helmets announces its title sponsorship of the 2019 and 2020 German GP. Over the past three years, HJC has been heavily involved in MotoGP racing as the title sponsor of the 2016 Grand Prix Czech Republic, the 2017 Grand Prix de France and the 2018 Grand Prix de France. HJC is the first helmet company to title the sponsorship of a MotoGP calendar race event. 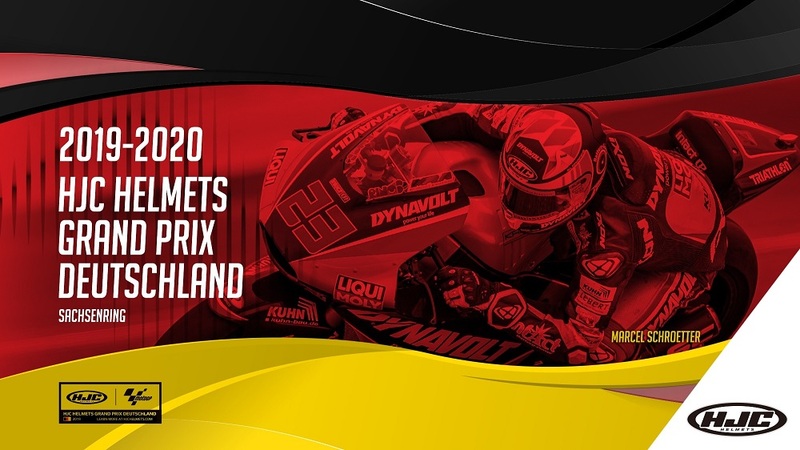 The HJC Helmets Motorrad Grand Prix Deutschland will take place at Sachsenring, a world-renowned race track located in the heart of motorsports, on July 7, 2019.